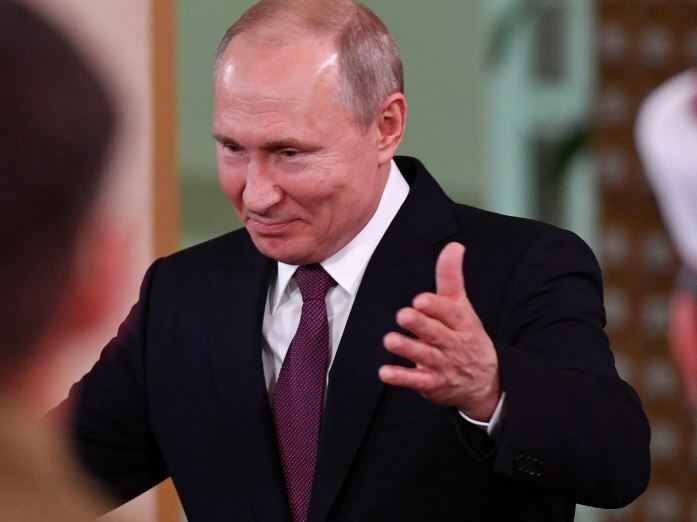 Russian President Vladimir Putin signed a law Monday allowing Moscow to punish and potentially imprison citizens who spread misinformation on the internet about government officials. Media publications found guilty of spreading “unreliable socially significant information” could potentially face $23,000 fines, Bloomberg reported. Prosecutors are now legally able to complain to Russia’s communications watchdog about online individuals — the country watchdog group has the ability to block access if outlets don’t remove the offensive content. The announcement comes after a draft law called the Digital Economy National Program — which requires Russian internet service providers (ISPs) to make technical changes as the nation prepares for sanctions — was introduced to Russian parliament in 2018. The outage will take place before April 1, although an official date has yet to be released. Putin has worked with American companies in the past on efforts to censor content. Russian state media oversight agency Roskomnadzor reached an agreement in February with Google allowing the agency to send the Silicon Valley company a regularly updated list of banned websites; after reviewing sites on the list, Google will decide which links are to be deleted. Moscow has come under fire during the past two years after a Russian internet group used various trolling techniques to inject itself into the 2016 U.S. presidential election. Agents allegedly used memes and misinformation to impact that year’s presidential election.